We have powerful Inter-Carrier Gateway is designed to provide access to multiple mobile carrier networks across the globe, including GSM and CDMA networks. This would enable any carrier to allow their customers to send and receive messages from their mobile phones to any of the GSM/CDMA network, leading to drastic increase in message traffic volume. This will lead to an increase in customer revenue and a decrease in churn. In addition to supporting all key protocols, our server handles messages in different formats and delivers them within the standards set by each carrier. Send text messages from your computer/Mobile/Tab with our powerful web SMS system. Refreshingly simple, fast and very low cost. 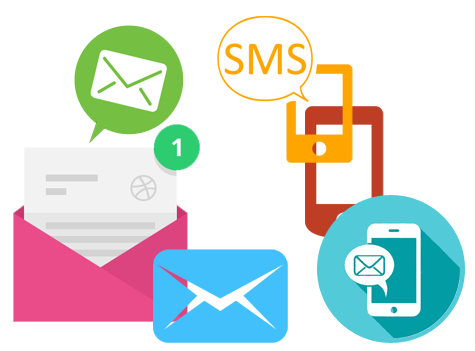 Marketing: SMS is widely accepted as new and innovative marketing channel. Immediacy, directness gives it’s a edge over others. Corporate: A great tool for internal communication. Sales force update, corporate info alerts are few ways our tools be used effectively. Interactive / triggered SMS for applications like sending automatic b’day wishes, anniversary wishes etc. to your customers. Copyright © smschargers.com 2019. All rights reserved.